Scala is a playful paraphrase on corrugated iron that simultaneously employs the functionality of the shape. The moulded felt absorbs sound and the wave-shaped surface effectively breaks the sound waves. 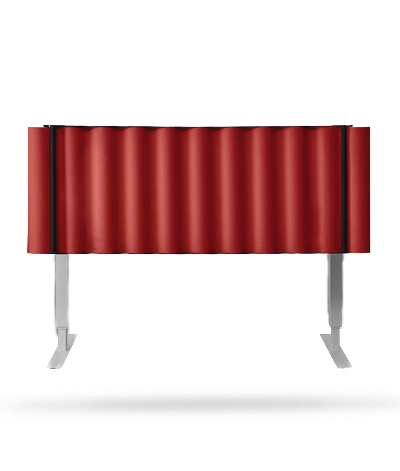 The table screen modules are made from moulded felt fabric (Blazer) with on a sound-absorbing core. The frame is available in black or white lacquered performance. Scala is 100% recyclable and the fabric is approved by EU Ecolabel.